Ascend to new promotional heights and order the Climbing Postcard before your event. 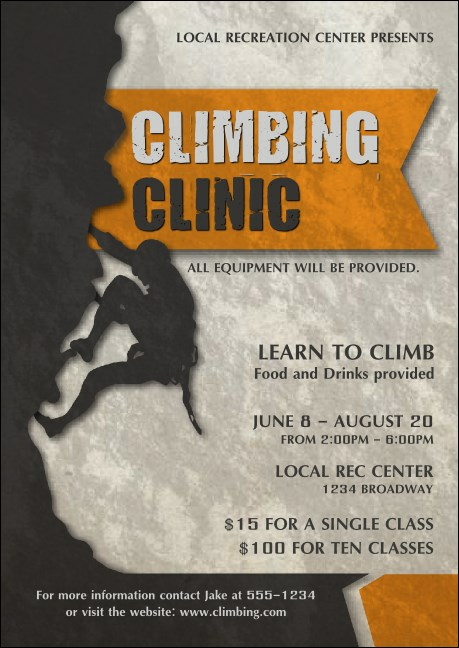 A light grey background makes the gold highlights pop on this template, with event details listed next to an adventurous climber. Send to avid climbers or leave at sporting goods stores to find new guests!